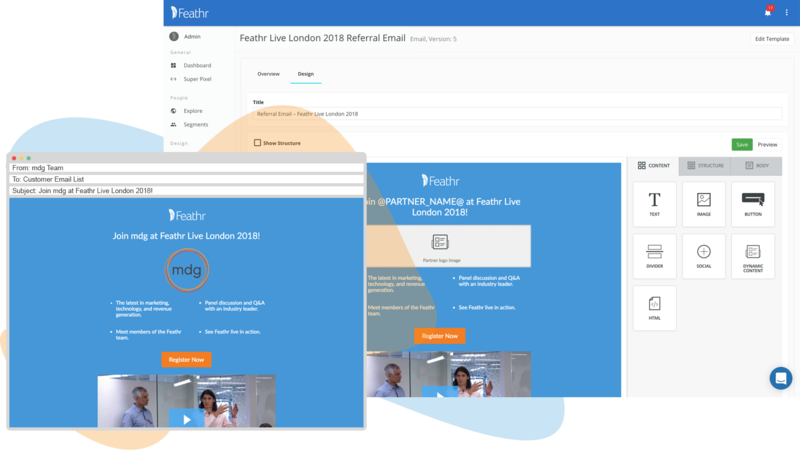 Create multi-channel invite campaigns that enable partners to easily promote your event. personalized, beautiful and trackable marketing assets. 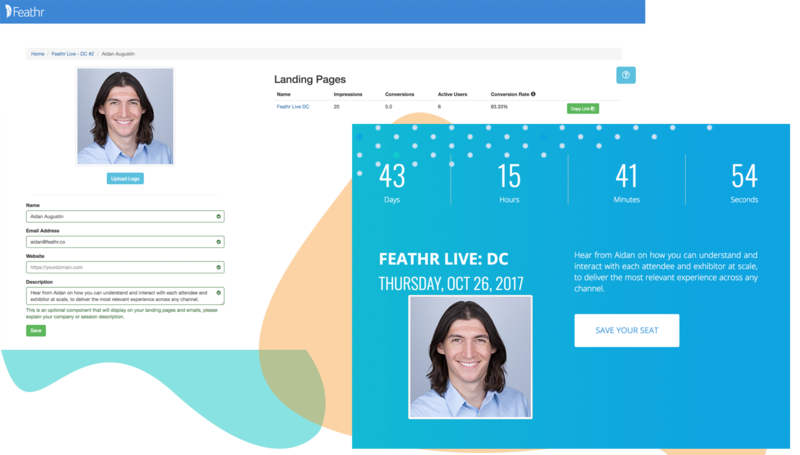 Provide your partners with a one-click interface for sending marketing emails to their audiences. Beautifully designed, co-branded ads that your partners can put on their website or in their email signatures to promote your event. 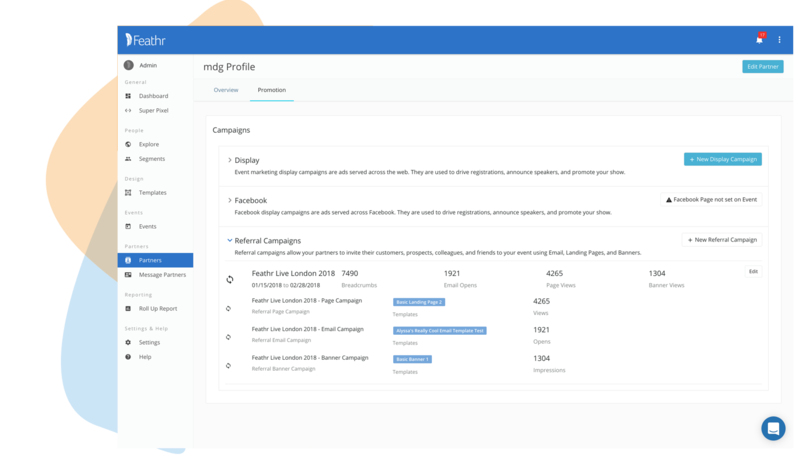 Create and share personalized landing pages with every partner in just a few clicks. Give each partner a dashboard they can use to access and customize all of their assets. Track the performance of each partner across each asset you give them. Let your partners customize, use, and manage all co-marketing assets related to your events. Clearly understand which partners are using which assets. Reward those who are participating and nudge those who haven't yet. Give your partners beautiful, trackable landing pages that drive traffic and registrations. 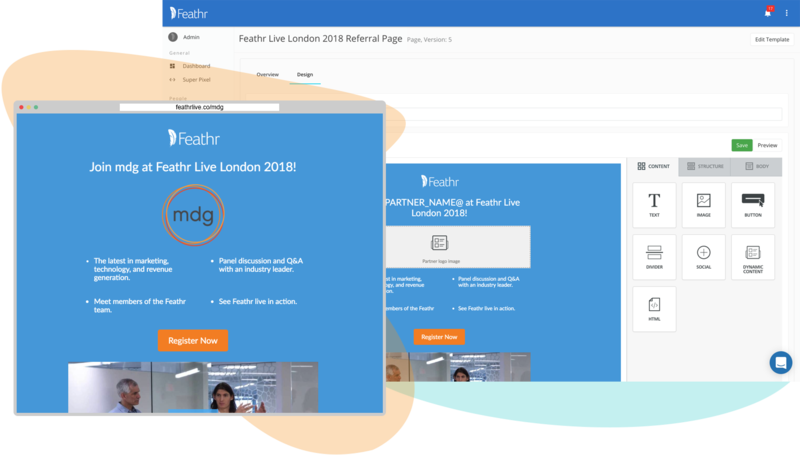 Create email templates that partners can one-click-send from Feathr, or download and share with their audience. 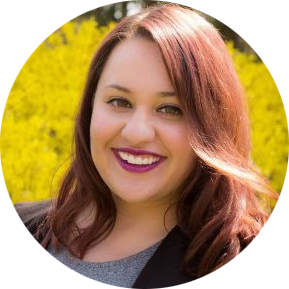 "These Invite Pages give us the opportunity to put our brand out there to people who may not know us, and it has turned out to be a huge benefit to both our company and the exhibitors." Give your partners co-branded, trackable banners that they can use to promote their involvement with your event on their website. 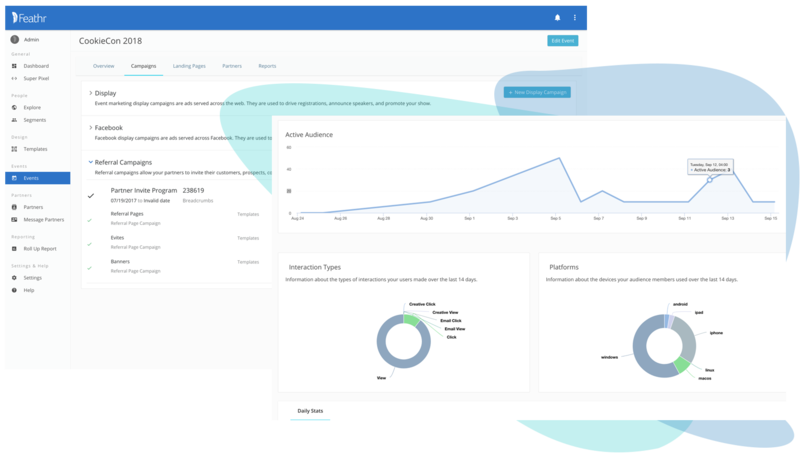 Provide each of your partners an all-in-one dashboard that they can use to customize, download, share, and track each of their referral assets. 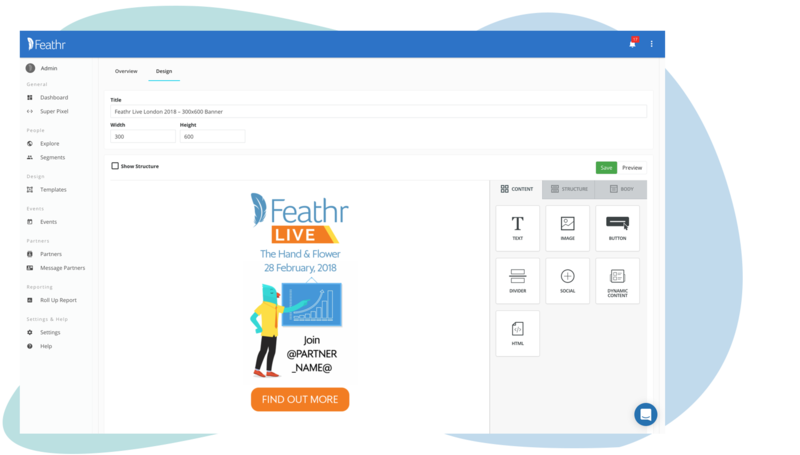 Book a meeting with a Product Specialist, see the product in action, and start using Feathr for your next event.